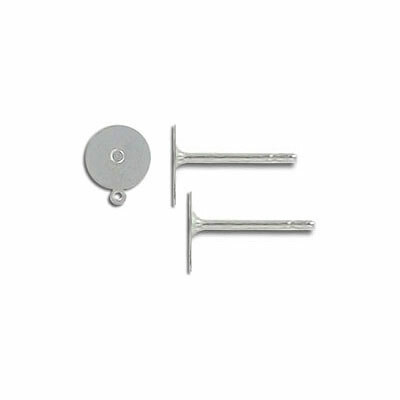 Ear post, stainless steel with 6mm flat pad and loop. Grade 304L. Frabels Inc.